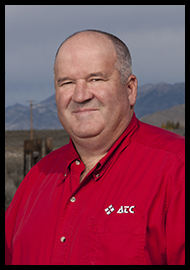 Rick Smyer has been with ATC Communications since 1996. During his tenure, Rick has helped implement the incredible advancements in Internet speed availability. He was on-site when the company’s first dial-up customer was connected at a whopping 19.2 Kbps. As technology advancements continued through the years, Rick has been there – helping to work out the kinks – every step of the way. Rick’s determination on the job has earned him the title of “Tenacious Troubleshooter”. When he’s not diligently keeping our subscribers in top-notch condition, you might find him tinkering on his Toyota Land Cruiser, or spending time with his grand-kids. Rick also enjoys a good rib-eye steak (with baked potato, of course) and a classic Mountain Dew. We’re appreciative of Rick’s long-standing support to our ATC team!